CHANDIGARH, MAY 13 : Yoga Federation of India has constituted International Day of Yoga Celebration Committee with Tikshan Sud, YFI senior Vice President and Political Advisor to Chief Minister, Punjab, as chairman. The committee will coordinate with the Chandigarh Administration and Ministry of AYUSH for the 2nd International Day of Yoga which is going to be celebrated in Chandigarh on June 21. Prime Minister Narendra Modi will partcipate in the International Day of Yoga. The Organising Committee: Chairman – Mr Tikshan Sud, Sr. Vice President, Yoga Federation of India & Political Advisor to Chief Minister, Punjab, Vice Chairman – Mr Arvind Jain, Conveners – Mr Mohinder Sharma, Dr. Mohinder S. Kamboj, Co-Convener – Mr M.K. Vermani, President-K.C. 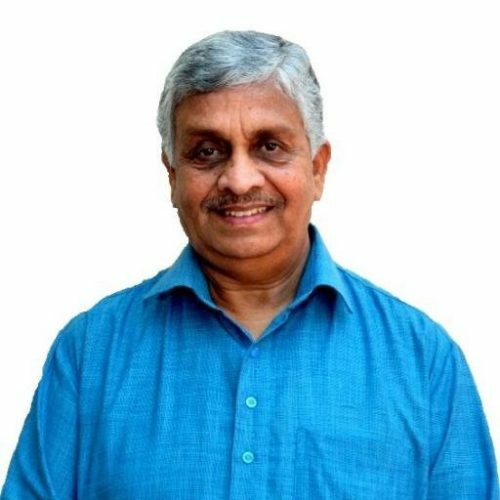 Sharma IAS (Retd. ), Secretary General- Ashok Kumar Aggarwal, Coordinators – Mr Raman Kumar Sharma, Dr. Mahender Singh. Members: Dr. C.K. Mishra, Dr. Shamsher Singh, Mr Puneet Khullar, Mr Vikas Sharma, Mr Gautam Datt Joshi and Mr Arun Yadav. In this connection, a meeting of the organising committee was held on May 11 under the chairmanship of Mr Tikshan Sud. It decided to request the Chandigarh Deputy Commissioner, on behalf of Yoga Federation of India to coordinate with the Chandigarh Administration for the celebration of International Day of Yoga. Subsequently, a meeting of members of said committee was held with the Chandigarh Deputy Commissioner who consented to join YFI for this mega celebration at Chandigarh. The YFI has provided 150 yoga trainers from Chandigarh to train yoga participants as per ‘Common Yoga Protocol’ of Ministry of AYUSH for this celebration. Mr Raman Kumar Sharma, Zonal Secretary, Yoga Federation of India and Dr. Mahender Singh, General Secretary, Chandigarh Yoga Association will coordinate with the Chandigarh Administration for the celebration of International Day of Yoga at Chandigarh . The State Secretaries to celebrate the 2nd International Day of Yoga at their State / District Head Quarters by organizing Yoga Camps / Yoga Workshops / Yoga Clinics / Yoga Competitions / Yoga Demonstrations at mass level by their State Yoga Associations / District Yoga Associations and send their action plan along with the list of Yoga trainers and yoga participants to the YFI Secretary General as well as Zonal Secretaries The State Secretaries are requested to constitute a Committee for this celebration.